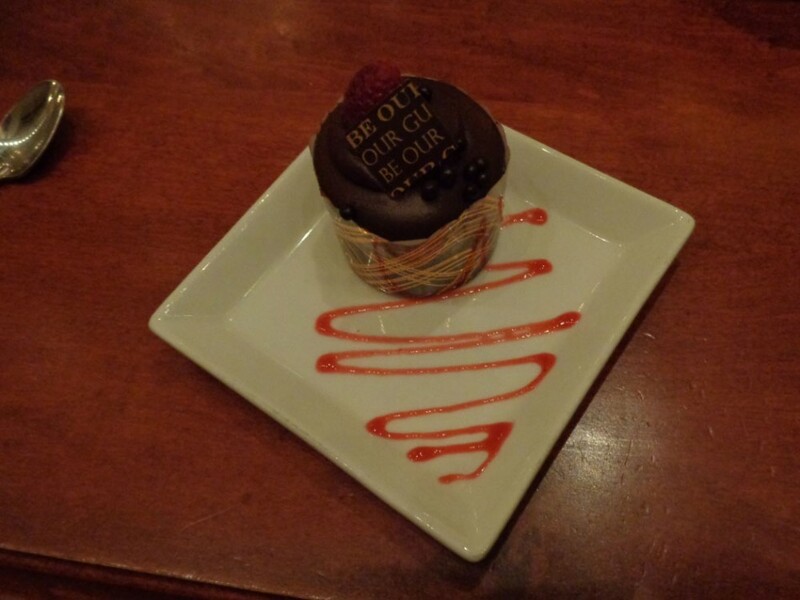 The newest and by far the most discussed restaurant within the walls of Magic Kingdom opened in late 2012, but the excitement of enjoying a meal there began even earlier. Prior to it’s opening, I was consumed with photos, sneak peeks and interviews of Cast Members which talked about how this restaurant was built not only for a delectable culinary experience but what I consider to align along the same lines as the Disney attractions; the Be Our Guest Restaurant is built to appeal to all the senses by having an eye-catching overall experience, enhanced with your enjoyment of a good meal. 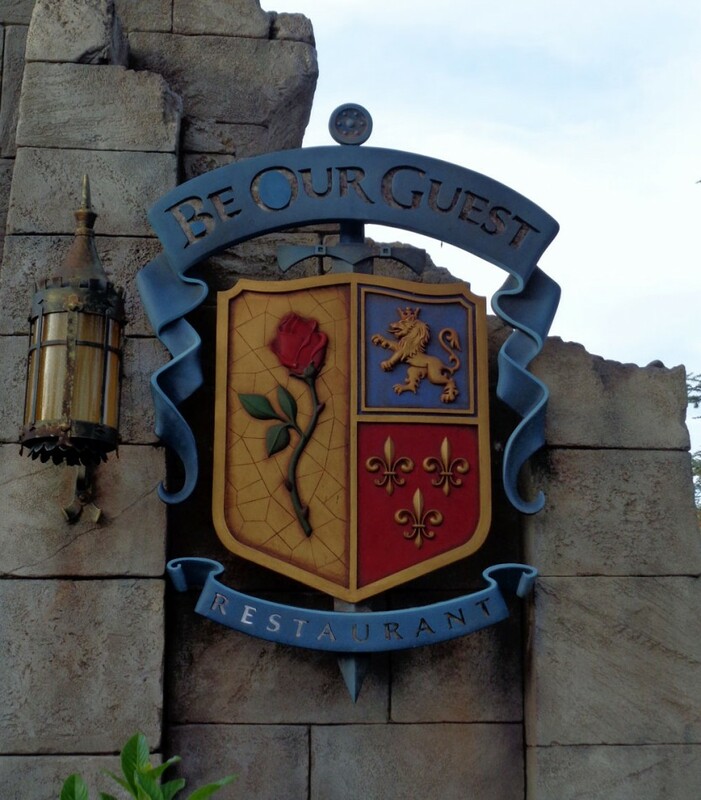 Be Our Guest is not just another restaurant inside Magic Kingdom that has tables, chairs and air conditioning to enjoy a break away from the sometimes relentless heat. 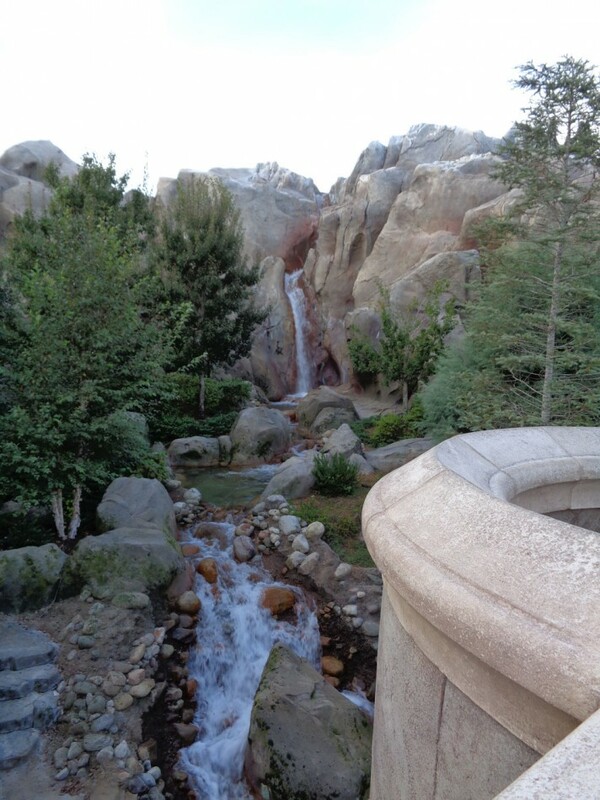 Instead, the amount of time and creative passion that was used to design the space is comparable to any of the rides that can be found within the park. 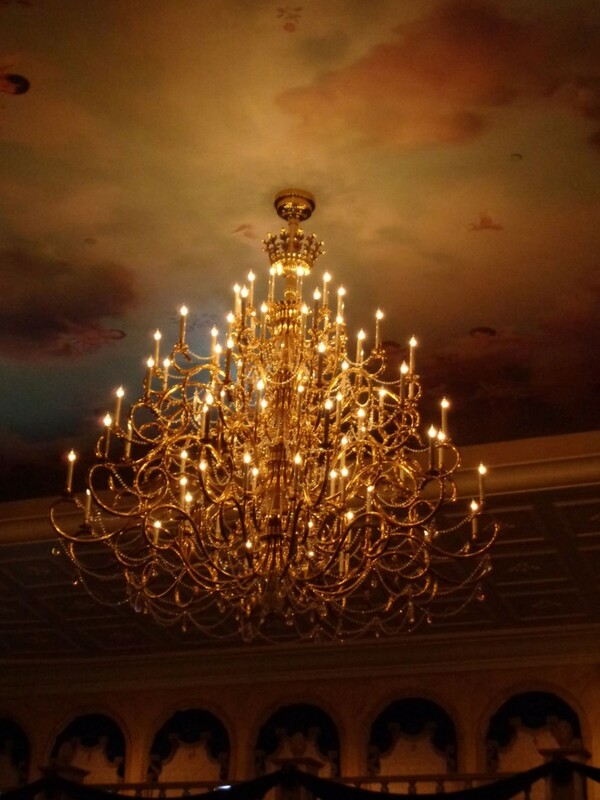 The restaurant is separated into 3 dining areas; the Grand Ballroom, the West Wing, and the Rose Gallery. 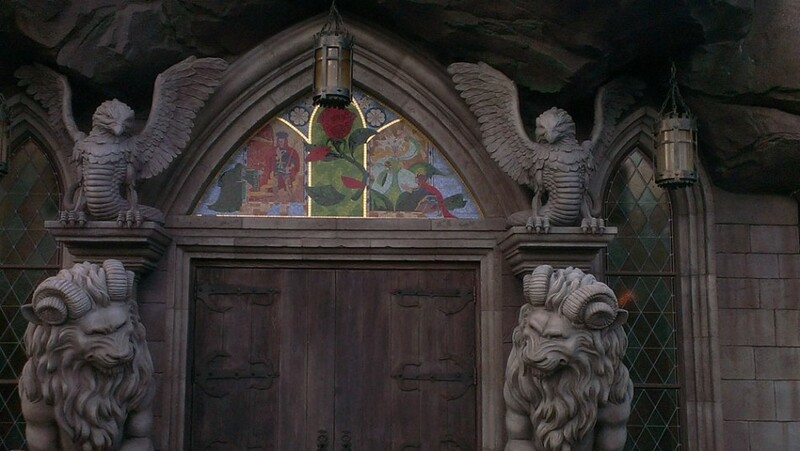 Each room is filled with displays of elaborately detailed craftsmanship and beautiful design. 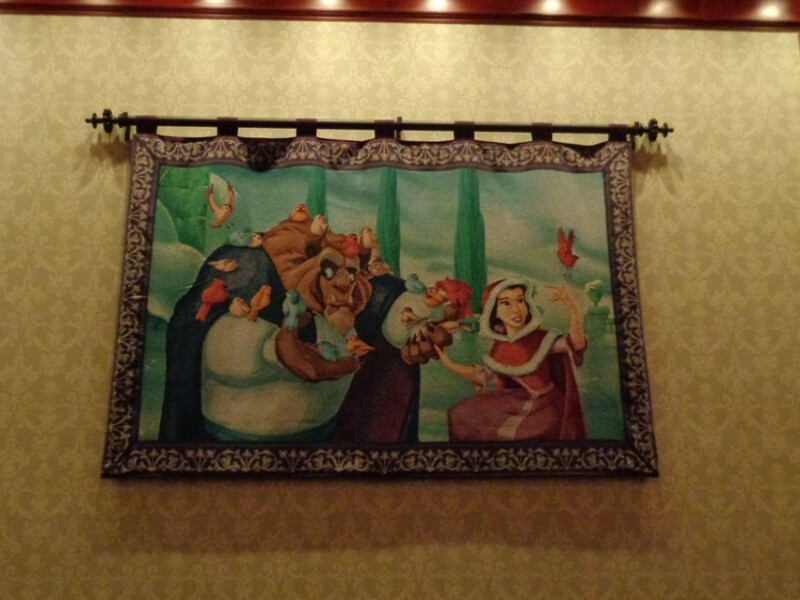 One of the best examples of this artistry is the tapestries hanging on the walls within the Rose Gallery depicting some memorable scenes from Disney’s Beauty and The Beast. 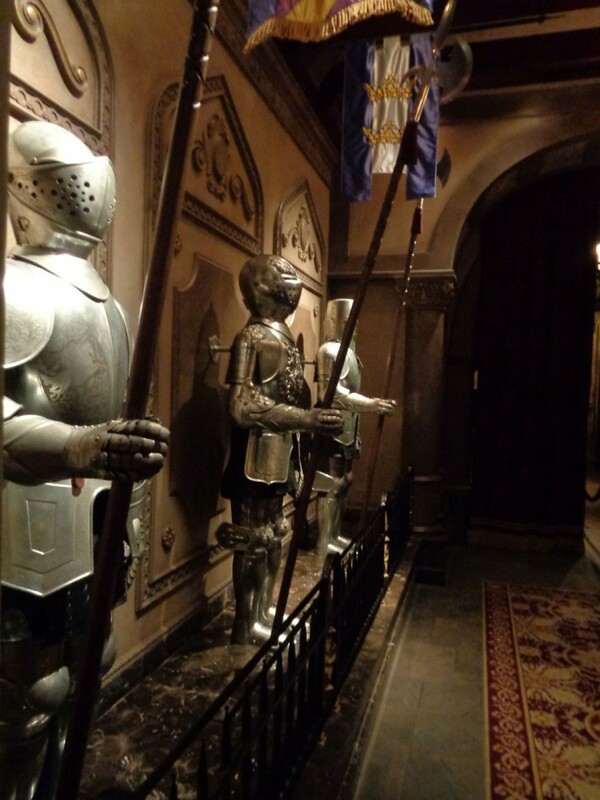 As a guest for dinner service you don’t know which room you’ll be seated in, however the Cast Members welcome and invite you to stroll around all of the rooms after your meal for a chance to explore the Castle. 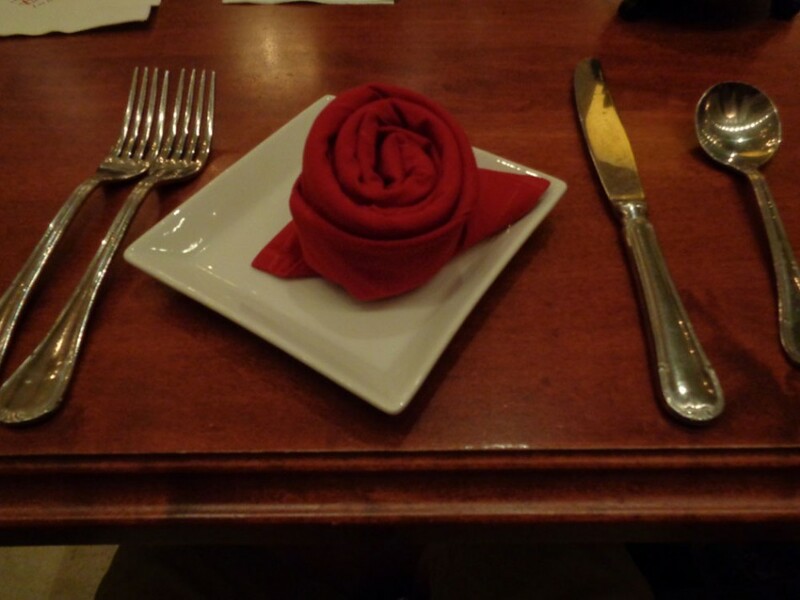 Having been successful in booking a dinner reservation at the 180+10 day mark I was surprised to see that half of the Rose Gallery was empty while we enjoyed our meal. When speaking with our server about the unoccupied tables in contrast to the challenge of getting a reservation we were informed that the restaurant was originally designed to allow guests in all 3 rooms during its counter service lunches but with the intention that only the Grand Ballroom would be opened during dinner. 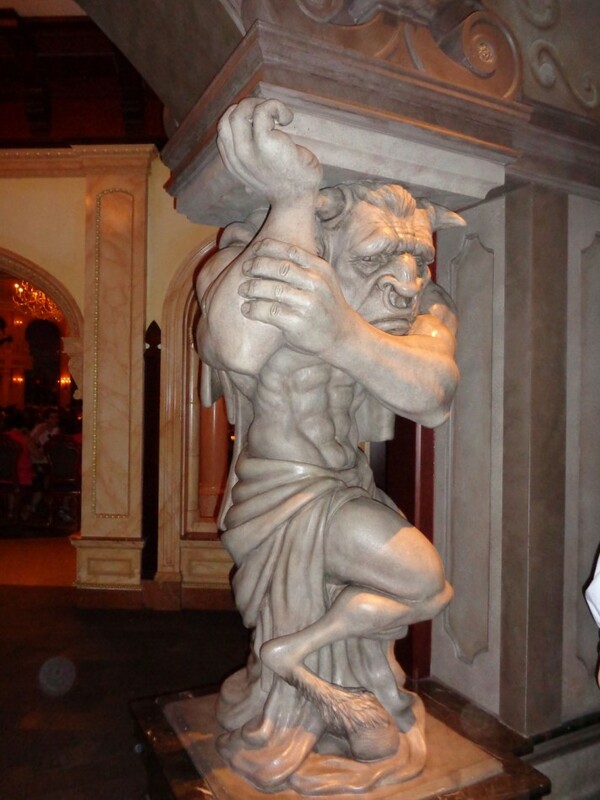 Due to its overwhelming popularity Disney is now allowing guests in the West Wing and Rose Gallery during dinner but is not yet able to fill each table as the demands on the kitchen for tripling its dinner guests is a bit too taxing. However the unofficial statement is that hopefully a secondary support kitchen can be designed and then all 3 dining rooms may be filled to capacity during dinner allowing more guests the opportunity to enjoy this restaurant. With Magic Kingdom being the heart of Disney for many visitors; having this new, beautiful and delicious place to eat is a welcome addition to any Disney experience. 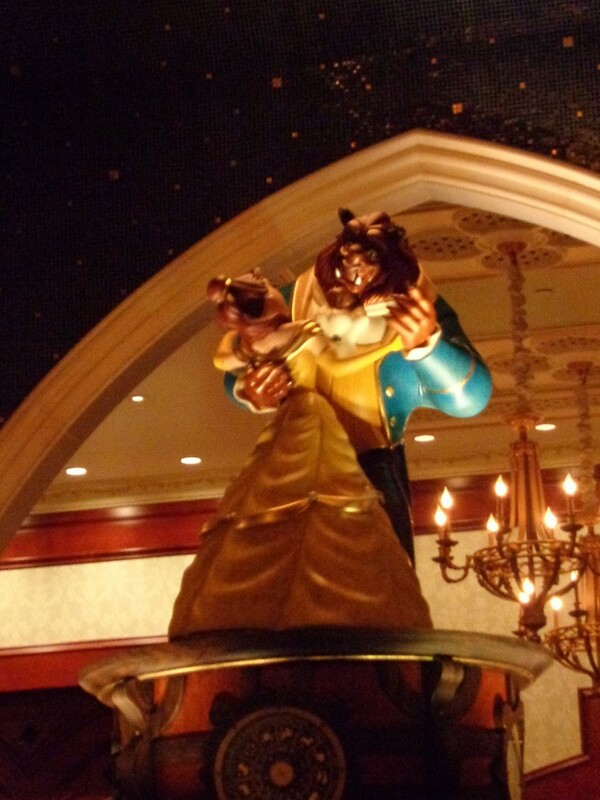 I know I am looking forward to my next to opportunity to be a guest at Disney’s Be Our Guest Restaurant. 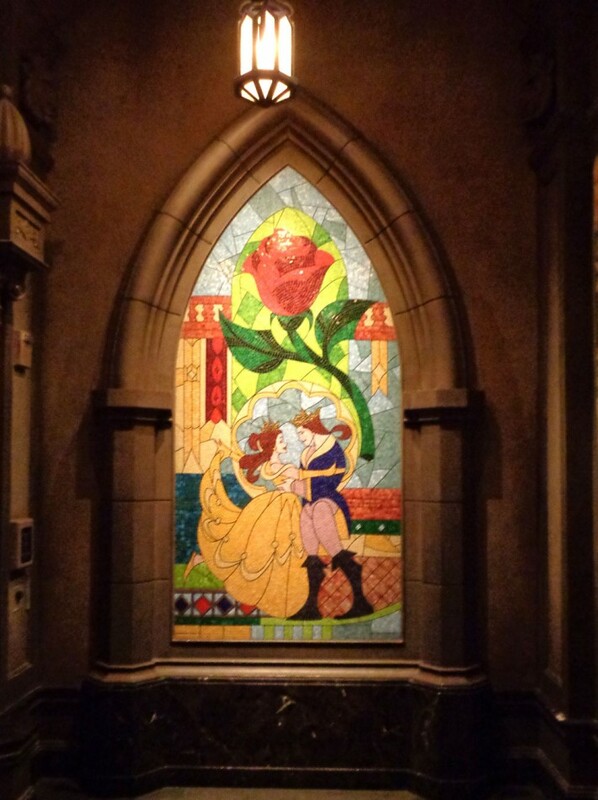 14 thoughts on "Feeling like a VIP Guest at Disney’s Be Our Guest"
Martha Sidlowski this is a great write-up. I didn’t even realize travel agents still existed. Haven’t used one since Al Gore invented the Internet! We are still here lol. We come in handy too. 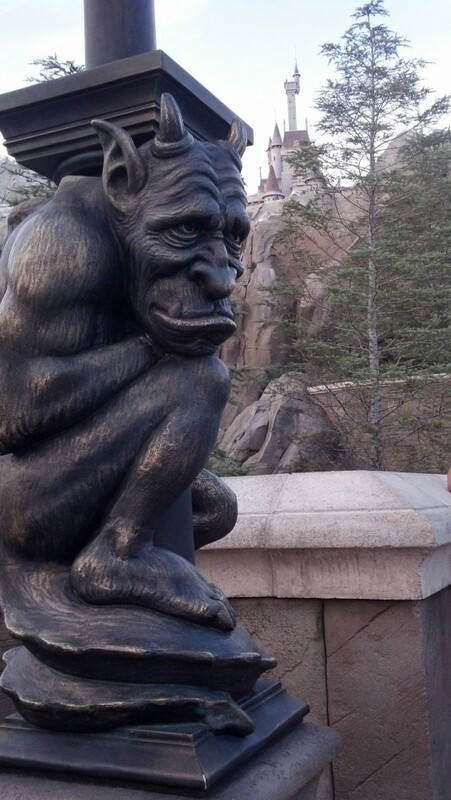 Trying the fast pass for lunch tomorrow. Our FAVORITE dinner meal by far. A must for every trip! We got reservations for next moth only 29 more days to go. I ate there for lunch last year and it was awesome.